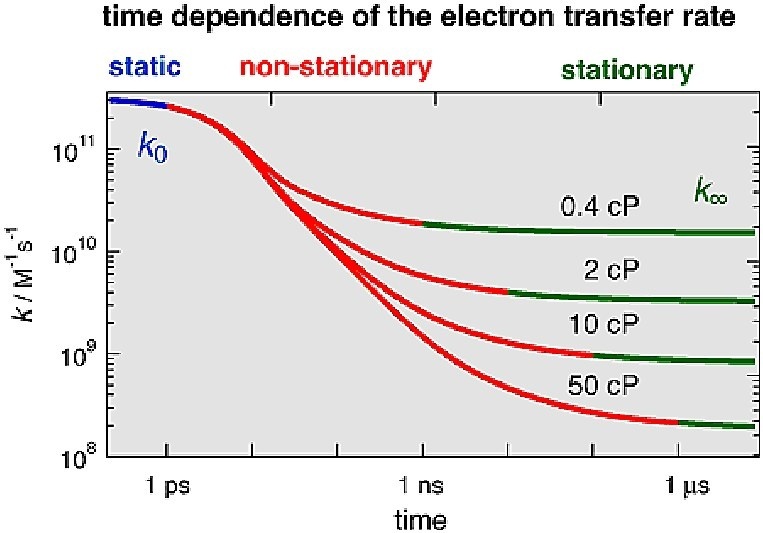 Inspired by NMR techniques, the implementation multidimensional spectroscopies in the infrared regime (vibrational multidimensional spectroscopy) over the last 20 years made it possible to obtain molecular dynamical and structural information way beyond conventional (one-dimensional) time-resolved techniques. More recently the spectral range of these techniques was extended to the visible (electronic multidimensional spectroscopies). The power of these methods lies in their ability to map out correlations between different chromophores in complex systems like proteins and follow their evolution in time. Over the past five years there has been a huge effort to bring these tools into the UV range below 300 nm. The main drive comes from biology as this would allow addressing the amino acids in proteins, as well as DNA bases. If implemented in a robust manner and with sufficient bandwidth to cover the broad absorption bands of these chromophores, such a technique could have the potential to become a universal tool in bio-research just like linear UV spectroscopy is nowadays. We recently implemented such a setup, which is described in Refs 1 and 2. The probe pulse covers a range of 100 nm that lies between 260 and 380 nm, while the pump pulse spans the range from 260 to 340 nm. The broadband UV probe light, generated by an achromatic frequency doubling stage, is combined with a narrow band, frequency scan-able UV pump beam in a transient absorption experiment operating at a repetition rate of 20 kHz. This enables us to obtain full three dimensional data sets (pump-frequency, probe frequency, time delay) with a time resolution of about 100 fs. Following the feasibility experiments on UV dyes (see figure and movie), we obtained the first results on myoglobins investigating the interaction between the active site of these proteins, the haem group, and the two tryptophan residues, showing the capability of our approach to address biological functions. 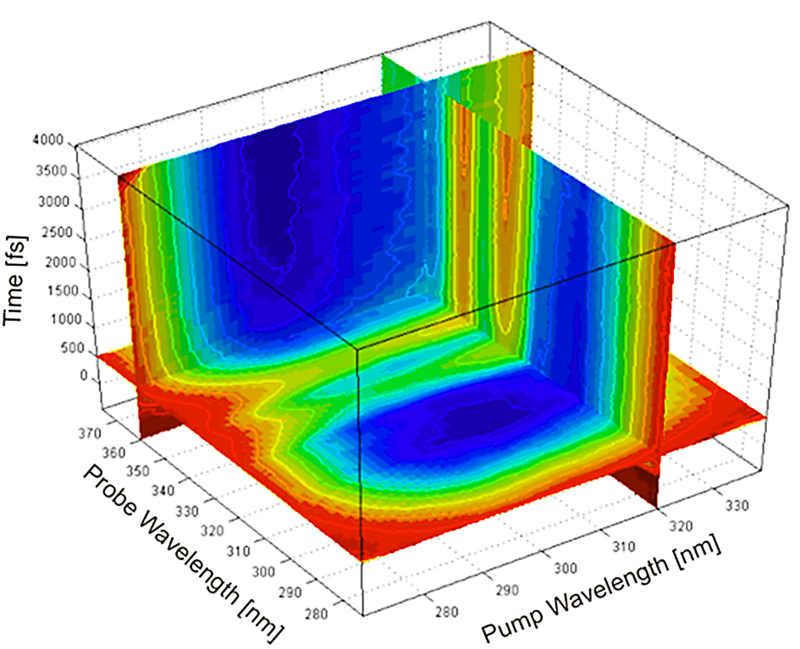 Left, Top Figure 1: Three dimensional (pump wavelength, probe wavelength, time) data set measured using time-resolved 2D UV spectroscopy on the dye 2,5-Diphenyloxazol dissolved in cyclohexane.